I mentioned in my last post I have been following along with the Online Card Classes watercolour class and I can say that I have found it very inspiring. I have done minimal watercolouring in the past and have enjoyed it, now I want to do more! 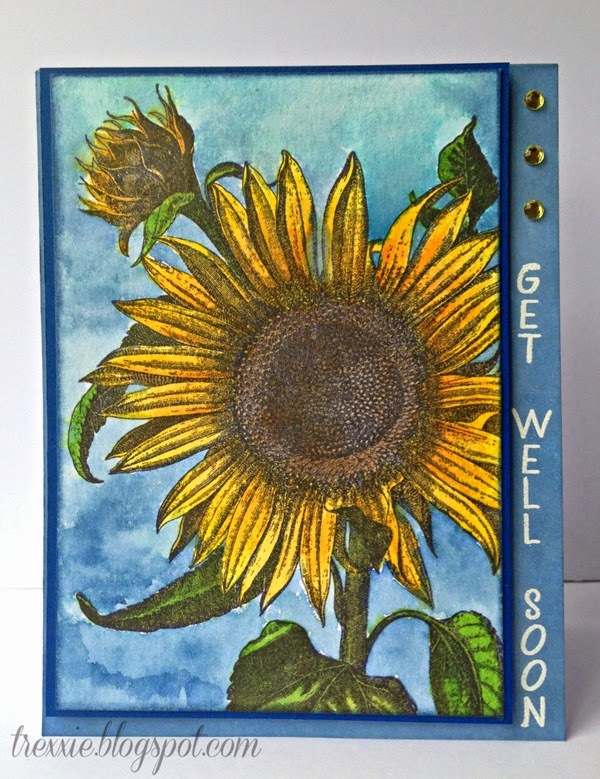 This beautiful sunflower is from La Blanche and I used the smooth side of Tim Holtz's watercolour paper which gave a very clean crisp image, using Archival Ink. I painted the petals with Distress Inks in Wild Honey, Scattered Straw and Mustard Seed, the flower centre with Walnut Stain and Vintage Photo, the leaves with Peeled Paint and Mowed Lawn and the background with Faded Jeans, Broken China and Tumbled Glass. I coloured the base of the card with Faded Jeans ink and adhered the image to navy smooth Bazzil cardstock before adhering it with dimensional tape to the card base. 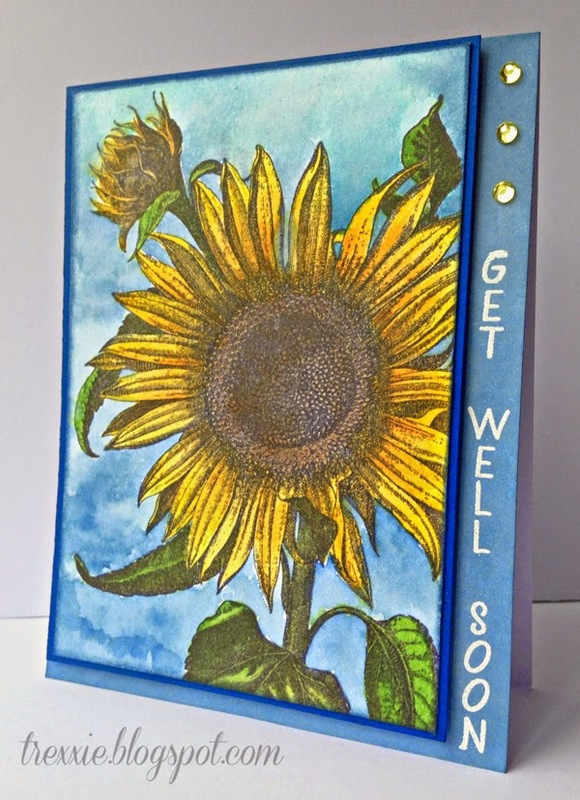 The sentiment is from the Stamps of Life set 'standup4sentiments', embossed in white. A little light green bling from Hero Arts and the card was complete. I leave you with this - watercolouring is a blast!! Love this stamp in watercolour Teresa! oh WOW, this is stunning...you do an awesome job..I luv it!